We always enjoyed fall at the farms when we lived in northern Illinois for five years. During the harvest season, the farmers would host festivals and open houses to showcase their bounty of vegetables. We had fun sampling the ciders and hot cocoa, buying fresh-baked pies and other goodies at the country-style marketplace, watching people get lost in the corn maze and purchasing a pumpkin for Halloween. Highlander would carve jack-o-lanterns out of it instead of pureeing the pumkin for pies, soups and cakes (although once in a while, he would roast the seeds for a snack). We just use the convenient canned pumpkin in recipes, such as cheesecake. We make them mini-sized to share at social gatherings during the season. 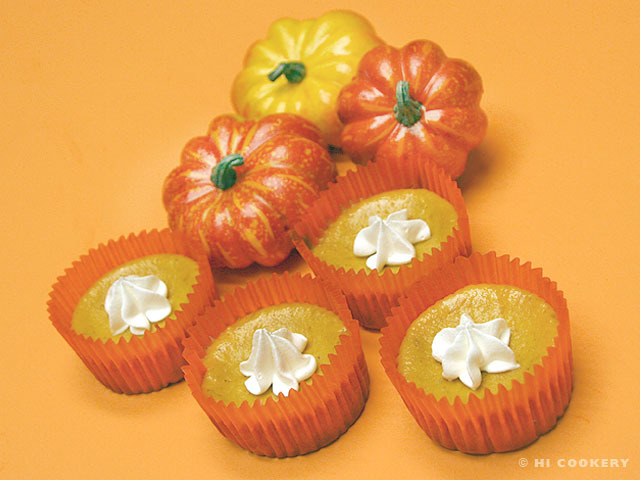 Mini pumpkin cheesecakes are perfect for Halloween and Thanksgiving and especially on National Pumpkin Cheesecake Day! 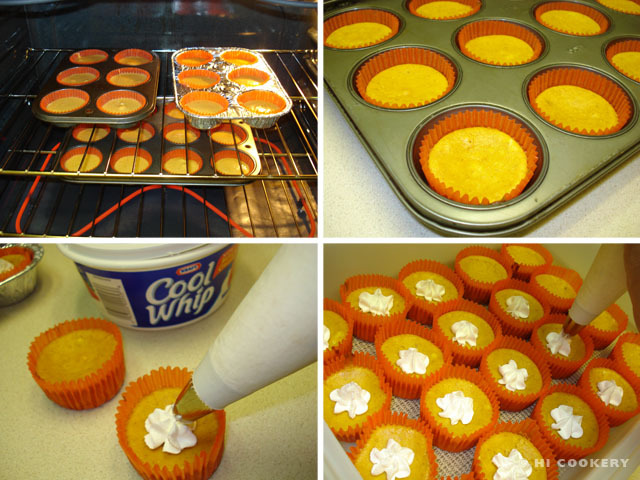 Place a gingersnap cookie on the bottom of 24 cupcake liners. In a large bowl, cream the cheese with the sugar and corn starch until smooth. 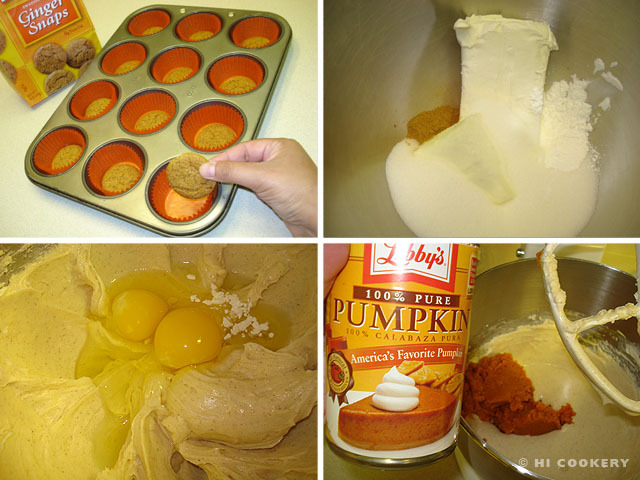 Mix in the pumpkin pie spice. Beat in the eggs. Stir in the pumpkin. Blend in the corn syrup. Scoop the batter into the cupcake liners. 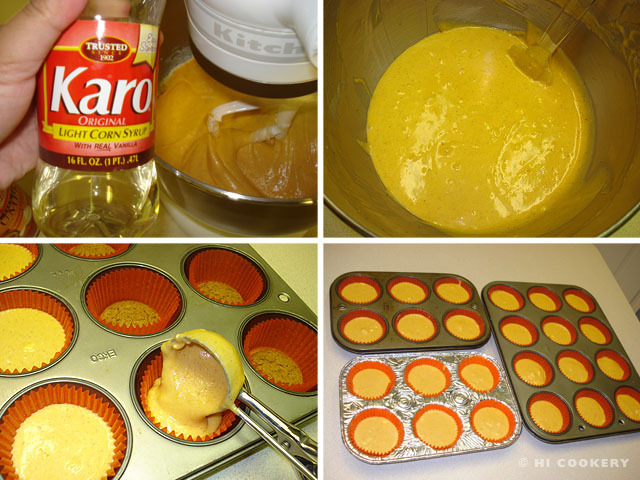 Tap the bottom of the muffin tins to let the batter settle smoothly. Bake in a preheated oven at 325 degrees F for 30-35 minutes or until just set. Remove from the oven. Let cool to room temperature. Refrigerate until firm or for at least an hour. Garnish with whipped cream (optional). The pumpkins pictured above are from Randy’s Vegetables. 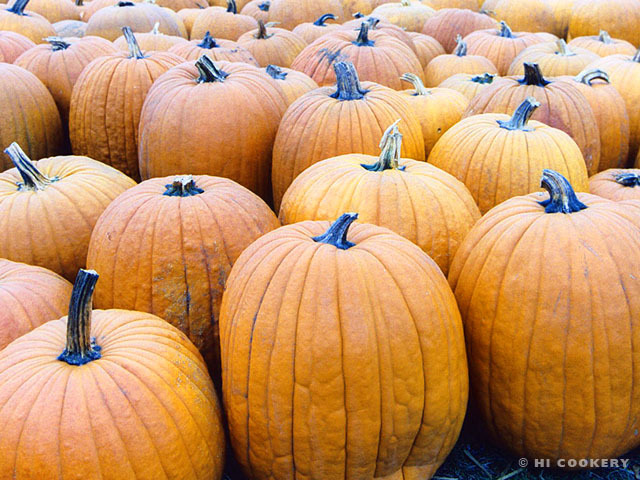 We have also visited Kuiper’s Family Farm and other pumpkin patches in the past while living in Illinois.